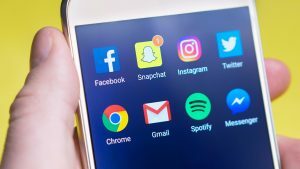 PARENT RESOURCE: Social media sites, use of technology and most of the lingo that goes with it–Protect and educate yourself and your student! Looking for ways to learn more about the social media sites your child may be using? Would you like to know what some of the internet “lingo” stands for or gather some tips on how to better protect you and your child’s online privacy? The saferschoolstogether.com website has provided links to free information for parents and guardians. Here you will find articles, checklists and information that you can use to learn more about popular social media sites along with tips on privacy, talking to your kids about online safety, decode some of the internet, texting and social media slang, look over sample family contracts and much more. Here is the link to the parent resource page.